Greek banks opened their doors on Monday for the first time in three weeks. The banks were shut late last month to stem a rush of money out of the country's cash-starved financial system. The government also set 60 euro limits on daily withdrawals, causing hardship for residents and often long lines at ATM machines. 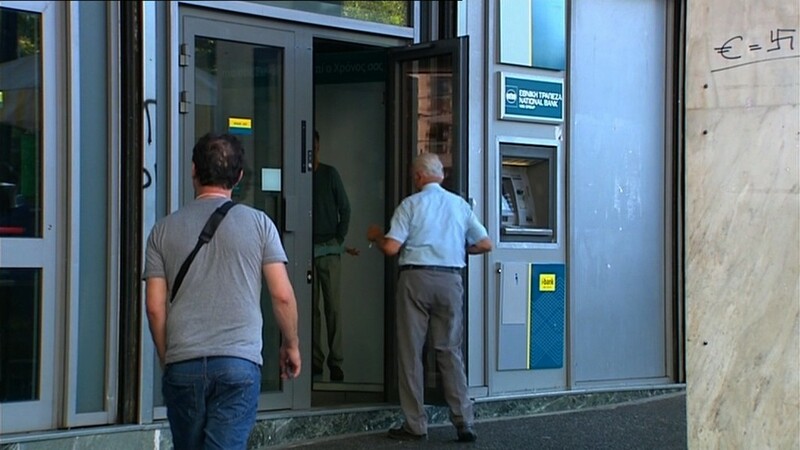 The daily limit on ATM and in-person withdrawals at branches will continue now the banks are open, the Greek Finance Ministry said. But if Greeks don't want to wait in line each day to get their 60 euros ($65), they also will be able to go, say, once a week and take out 420 euros ($455) -- the weekly maximum -- which is a fairly high cap since it's more than many earn in a week. The reopening of the banks comes as Europe's central bank promised 900 million euros in new emergency funding for Greece on Thursday. Trading in Greek stocks and bonds remains suspended, however, due to other restrictions on financial transactions, the Athens exchange said Monday. Formal negotiations on a new bailout -- worth as much as 86 billion euros ($96 billion) -- can now begin after several European parliaments, including Germany's, voted in favor. European leaders agreed last week to offer Greece a new rescue -- its third since 2010. While the details of the bailout are being hammered out, Greece urgently needs cash to make debt repayments and pay other bills. On Monday, Europe handed Greece an interim loan worth 7 billion euros ($7.8 billion) to tide it over. Most of that was spent immediately clearing overdue debt of about two billion euros with the International Monetary Fund, and repaying more than four billion euros to the European Central Bank. There's another big repayment due to the ECB on August 20, so the pressure is still on. -- Mark Thompson in London contributed to this article.